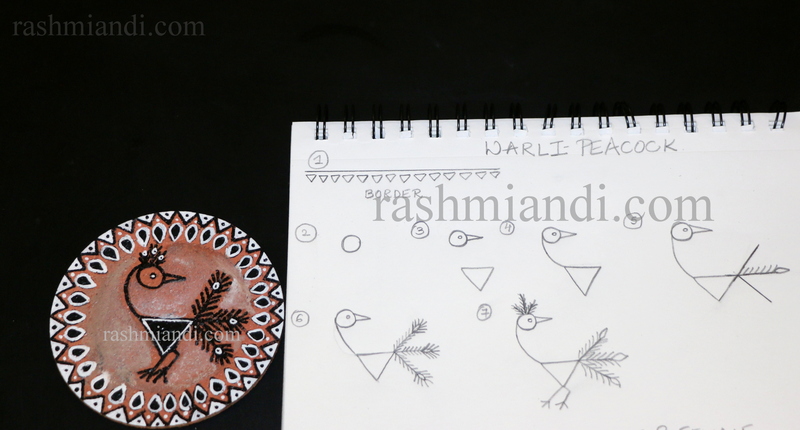 I will be doing a series of Warli art drawing tutorials.Today’s tutorial is how to draw a Peacock, a Male and Female Illustration in Warli. Pictorial representation of Peacock in Warli Art. 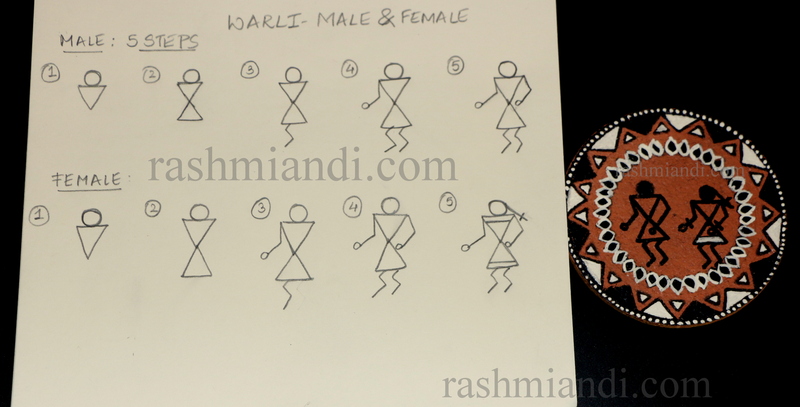 Tutorial for Male and Female Illustration in Warli Art. 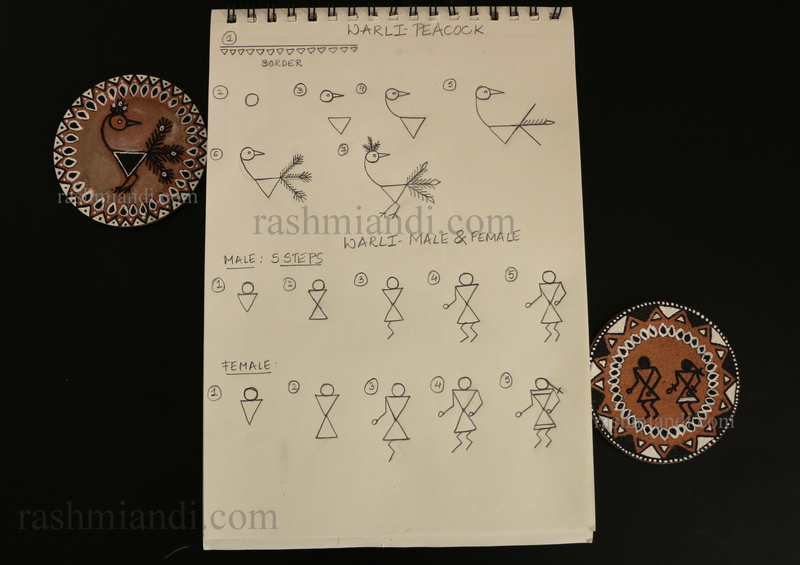 Pictorial representation of Male and female illustration in Warli art. I have used these drawings and made coasters.So can you! If you have any questions you can always comment and will be more than happy to answer your questions. Terrific post!! This blogging simply keeps me returning. I enjoy the work that you put into it and really enjoy reading through most of the posts. Hi and thanks a great deal and keep the nice work up! !